I unzipped my boots to get the bugs out & forgot to zip them back up... country girl for life! The day that bloggers have been talking about since pretty much the end of July is finally here... Fall officially starts this weekend! But before I pack away the sundresses & pull out the layers, I just want to take a minute to look back on the Summer of 2013. This was a Summer for celebrating engagements, boat parties, weddings, reunions with friends, cookouts that lasted long into the night, doggie play dates, new friends, saying "good-bye for now" to old friends, wedding planning, flea market scouring, canoeing, Oregon vacations, & commemorating a full 4 years in Nashville. This gorgeous crown (& the one here) is the fabulous work of my friend who runs the Flower Crown Society. 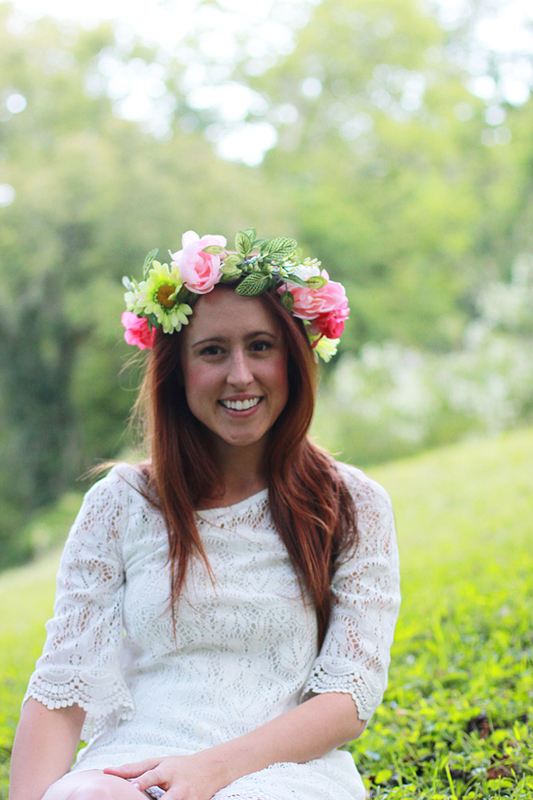 Now you can all scoop up flower crowns at 15% off with code "Jessica15"! P.S. It is the last day to enter the Bella Fusion giveaway! 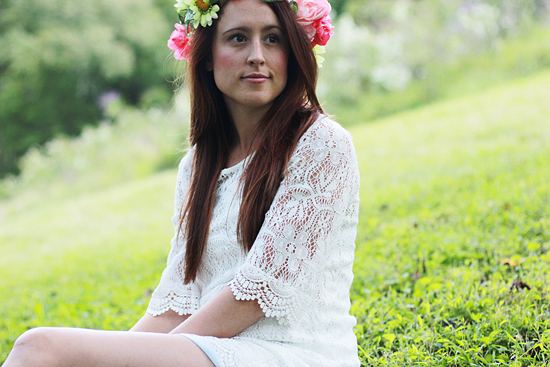 Loving that gorgeous lace dress on you, and the flower crown is PERFECT! Sigh...I wished the whole summer for a place to wear a floral crown. I think they're so adorable! you look so adorable with that flower crown!!! You look so beautiful, feminine, and romantic. Love the flower crown too! Well first off, these pictures are BEA-utiful Jessica! Here's hoping that the actual arrival of fall means actual fall weather in Nashville! That floral crown looks amazing on you! I couldn't pull it off but you are rocking it! Great photos! You look beautiful! 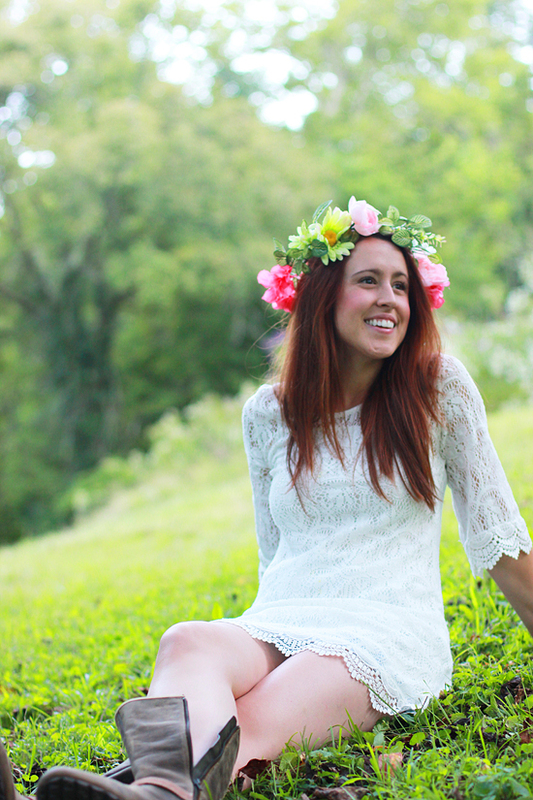 Gimme that floral crown - gorrrrgeous! And I have to admit.. I'm totally ready for fall!! Enter my giveaway for a Phillip Lim for Target mini satchel here! Wooow, you look very beautiful in unzipped boots. But you look much more beautiful when you leave your boots completely unzipped. Have you ever thought to do it several times, too?